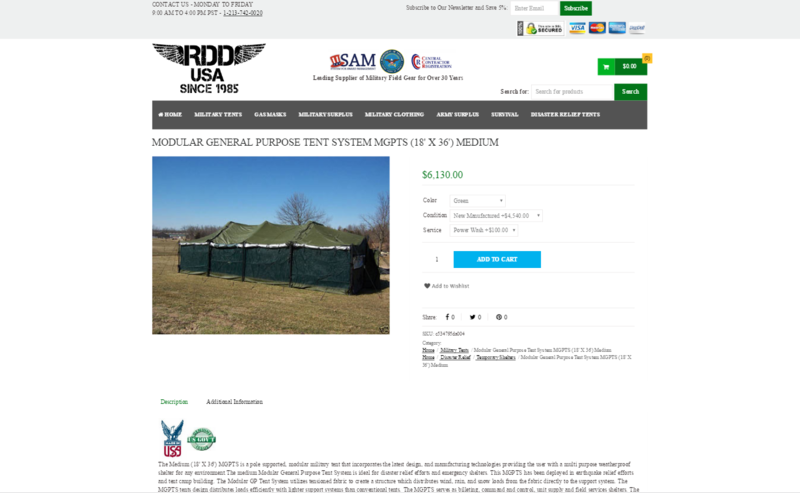 RDDUSA is a Military Surplus & Army Field Gear Surplus supply superstore. 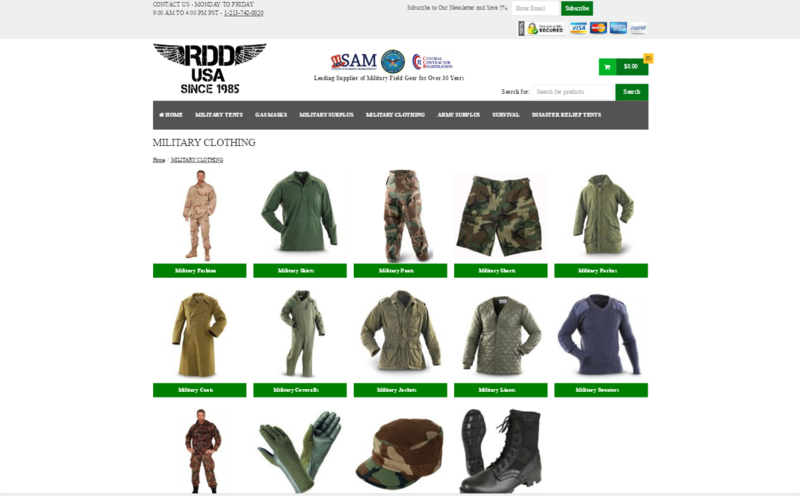 RDDUSA owns a brick and mortar stores as well as multiple successful online stores. 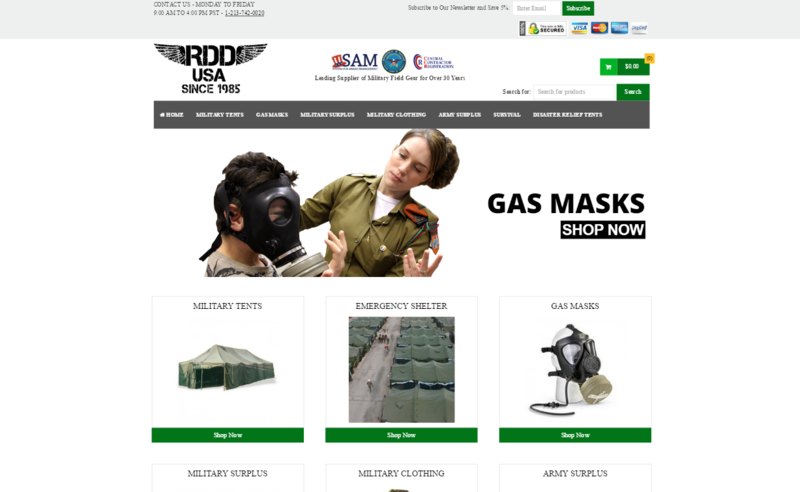 We have upgraded their system to our E-commerce solution, created a brand new look for their online store, as well as provided Search Engine Optimization work. 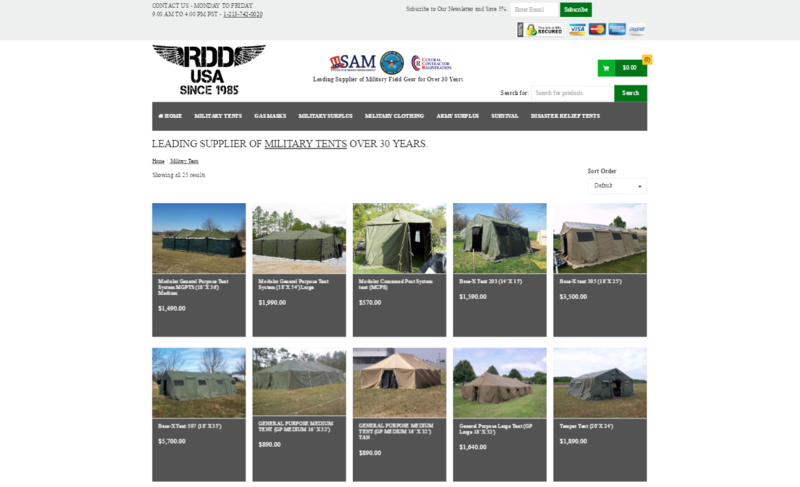 BV Commerce, ASP.net, MSSQL2008, DHTML, IIS, CSS, HTML5, and Java.